A Canada Goose suffered great distress on the lake due to it becoming entangled in discarded fishing line. Unfortunately, attempts by the RSPCA and the Park Ranger to catch and 'rescue' the goose proved to be fruitless, and it has now flown away with most of the rest of the flock. The fear is that the line will cut into the bird's leg, leading to infections from which it is unlikely to recover. ALL anglers are asked to take great care NOT to discard waste line, no matter how short it may be, because this type of incident is a very likely consequence of such action. If any person spots any discarded line please report it immediately to the Park Ranger, who is often on site in the Pavilion building, or who may otherwise be contacted on 01268 562921, and, if necessary, please leave an answerphone message. There have been three wildlife sightings in the Park during the past week that are enough justification alone for a visit, even in the unlikely event that nothing else there appeals to you! Please click on the pictures below to be redirected to the RSPB's page about the bird highlighted. Now the Storage Container really has become a wildlife reserve! Please see our 'Grants and Projects' page for the background to this story. Apart from improving the look of the previously very ugly storage container, the main point of the project to clad it was to encourage the wildlife. All those little holes are there to provide homes for various insects, which in turn would provide a food source and hence attract birds. Well now, a very happy Park visitor has highlighted the fact that birds are nesting in the roof lining! See the Visitors' Log for the full comment. 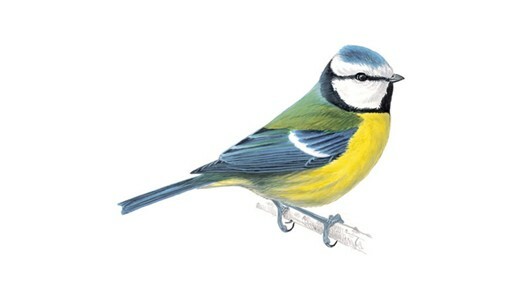 We are fairly certain that the birds in question are, indeed, bluetits. 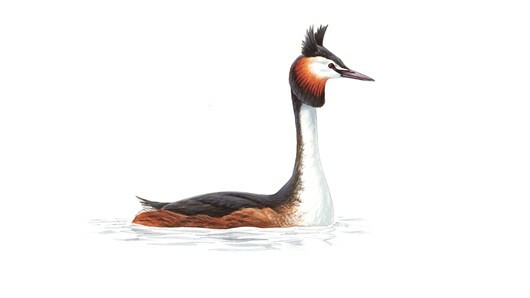 We have also had it confirmed that the Great Crested Grebes on the lake have successfully hatched a brood, and that the parents have been seen this week (early June 2016) swimming on the lake with the youngsters on their back! So sweet and cute!!!! 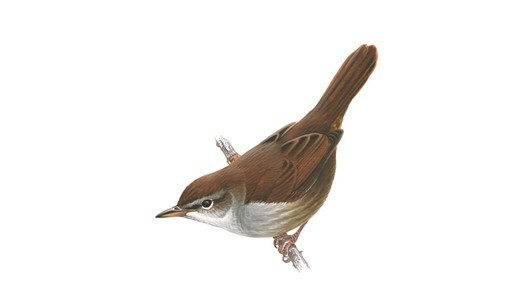 We have a Cetti's warbler on site within the Park for the second year running. Mark, the Park Ranger, heard it for the first time this year on June 12th. This observation is locally noteworthy as this warbler is a recent colonist of the UK, and being here at the Wick is evidence of its continued spread into Britain.